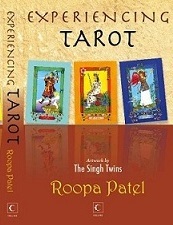 The book is about what tarot means to Roopa. The book touches on diverse aspects of tarot and has an account of real life stories of how tarot touched people’s lives positively and constructively. It also includes the meaning of the cards which are integral to any book on tarot. It looks at correspondence between tarot and other new age sciences like Astrology, Numerology, I-Ching, Rune, Kabala and the Chakras and how all these sciences are interconnected in some way.